Many process devices operate and indicate measurements based on an input of a 4-20 mA signal. Examples include control valves, I/Ps, local process indicators, strip cart recorders, controllers or control system input cards. 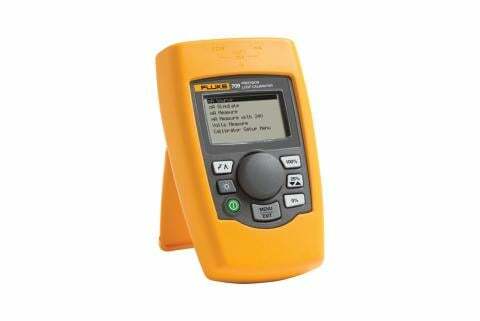 Loop calibrators or other tools with mA sourcing functions are very useful for testing these devices. For example, if testing a current-to-pressure converter (I/P) with a 4 to 20 mA input and a 3-15 psi output you would apply input mA signals of 4, 12 and 20 mA and verify the pressure on the output changes from 3 to 9 to 15 psi with the changing mA signal values. To test the input of a controller you would connect the output of the loop calibrator to the input of the controller at the input card. Be careful to connect with the correct polarity (black to negative, red to positive). 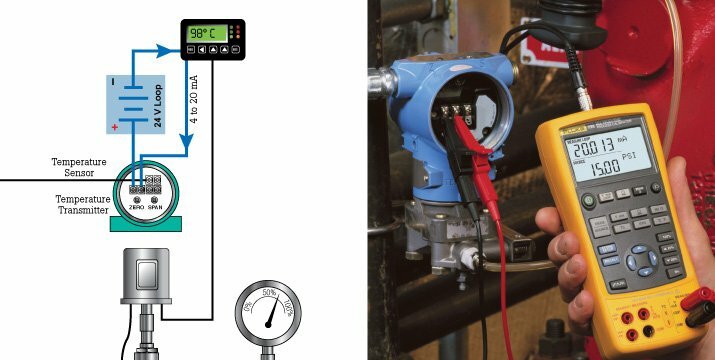 The HMI (Human Machine Interface) or readout of the controller can be monitored for the correct indication as the mA signal being sourced is changed. For example, if the 4 to 20 mA signal represents the temperature being measured by a temperature transmitter, with a 4 mA from the loop calibrator applied the HMI or controller if operating correctly will indicate the 0% or lower range temperature value of the transmitter (see table above for example of temperature vs. mA range relationship). 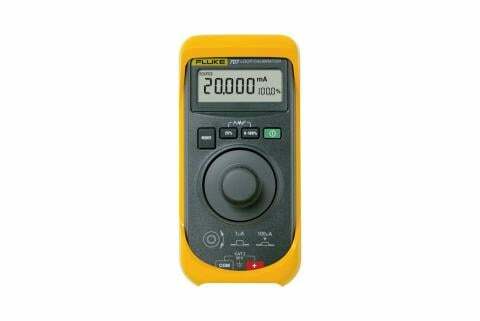 With the mA signal set to 20 mA the indicator or HMI should indicate the 100% or upper range value of the transmitter. Deviations between the expected read out value and the actual value would indicate that the A/D converter of the input card needs adjustment. If there is no value indicated and/or the loop calibrator indicates an open circuit either the input card is defective or the input fuse in the card is open. 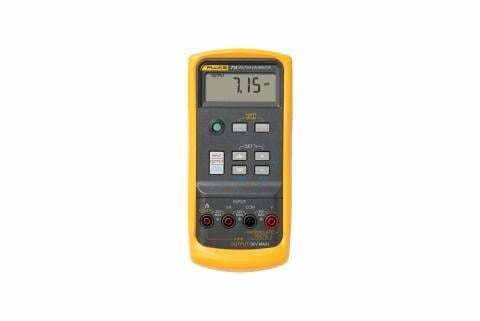 Check for an open fuse with a multimeter or ProcessMeter set in continuity of resistance measurement. The measured value should be somewhere between 100 and 250 ohms.